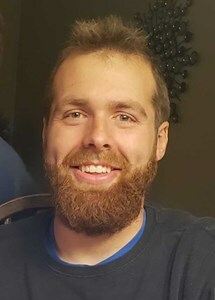 Newcomer Family Obituaries - Troy James McHenry 'Chip' 1994 - 2019 - Newcomer Cremations, Funerals & Receptions. Troy James McHenry "Chip", 25, passed away suddenly on April 8, 2019. Troy was born in Cuyahoga Falls on February 14, 1994 to Jim and Robin McHenry. He graduated from Tallmadge High School in 2012 and Fortis College in 2016. He was employed at K Company as an HVAC technician. A true outdoorsman, Troy loved swimming, camping and fourwheeling with his friends. He was proud of his new home and was very talented in renovations. He was a wonderful son, brother, grandson, nephew, cousin and friend and will be truly missed by everyone who knew him. Troy was preceded in death by his Papa, Ronald Willingham. He is survived by his parents, Jim and Robin McHenry; brother, Todd McHenry (Brittany); grandparents, Sharon Willingham, James and Pat McHenry Sr., and Kathryn Wingate; aunts and uncles, Lori and Joe Falat, Jay and Deb McHenry, Jennifer and Shon Enos, Jessica and Adam Brown, Josh Wingate, Shannon and Mike Holke, and Anthony King; special cousins, Joey, Taylor, Halle, Shorlan, and Kendall; many close friends; and his beloved dog, Lacy. Family and friends may visit on Friday, April 12, 2019 from 5-8 p.m. at NEWCOMER FUNERAL HOME, 131 N. Canton Rd., Akron, where funeral services will be held on Saturday at 11:00 a.m. Interment at Hillside Memorial Park. Add your memories to the guest book of Troy McHenry "Chip". Robin and Jim.. I am so sorry for your loss. Thinking of you both.. Praying for you and your families..
Our sincere condolences to you and your family. You are in our thoughts and prayers. Our deepest sympathy to you during this difficult time. I would like to express my sincere condolences for your family’s loss. Losing a loved one in death is one of the hardest things anyone has to go through. However, this is not something our loving God ever wanted us to experience. May the “God of all comfort” be with you, providing the peace of mind and comfort you need, during this difficult time (2 Corinthians 1:3,4). Troy was my nephew's lifelong friend. He was also a neighbor of my late parents. Even though I live out of state, I remember picking up my nephew and dropping him off at "Troy's" for years. Troy was beloved by so many in a peripheral manner. He will be truly missed. My heart goes out to Robin, Jim and Todd. I'm sure my parents, John and Nancy, are in heaven embracing Troy. Robin, Jim and family...I am so sorry! All my love to you all!! Troy and I worked together on a project in West Virginia. We drove down together and talked much about work stuff. He was hungry to learn and soak up all he could while on the drive. What great potential I saw in him! He asked great questions and gave great answers. What a great loss to this world. He will be missed. My heartfelt condolences to the family he left behind. May God comfort you as only He can! Please accept my heartfelt sympathy, may you be surrounded by peace at this time of sorrow. I’ll always remember how goofy you always were when we all played together as young kids jumping on the trampoline! We always had such a good time back then, even when us girls thought you boys had cooties. Rest In Peace, Troy. Praying for healing and comfort for your family in this unbearable time.